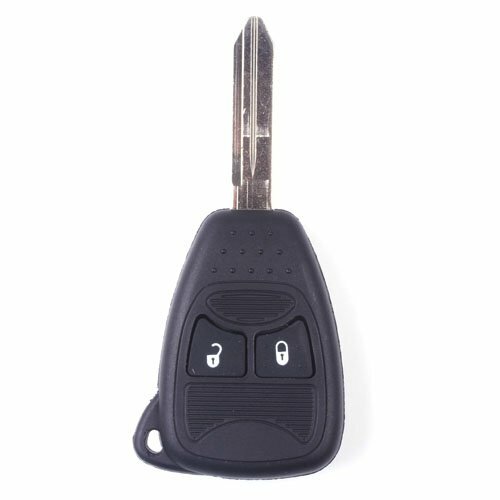 Features: Key Blade: Yes(Blank/Uncut) Button: 2 Buttons - Lock, Unlock Transponder Chip: NO Electronics/Battery: NO Package Included: 1 X Uncut Remote Key Shell (NO CHIPS) Compatibility: 2004-2007 Chrysler Town & Country 2006-2010 Chrysler PT Cruiser 2007-2010 Dodge Caliber 2007-2010 Dodge Nitro 2006-2008 Dodge Ram 1500 2006-2008 Dodge Ram 2500 2006-2008 Dodge Ram 3500 2004-2007 Dodge Caravan 2004-2007 Dodge Grand Caravan 2007-2010 Jeep Compass 2007-2010 Jeep Patriot 2007-2010 Jeep Wrangler NOTES: Make sure your current key looks IDENTICAL with the gallery pictures shown. 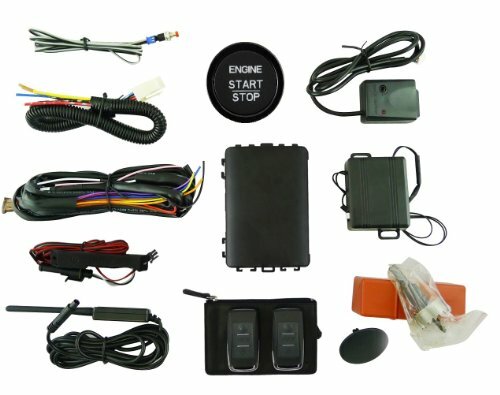 ONLY SHELL PART, NO interior (remote/electronics/transponder chips) unit inside. The keyblade needs to be cut at your local dealer or qualified locksmith. 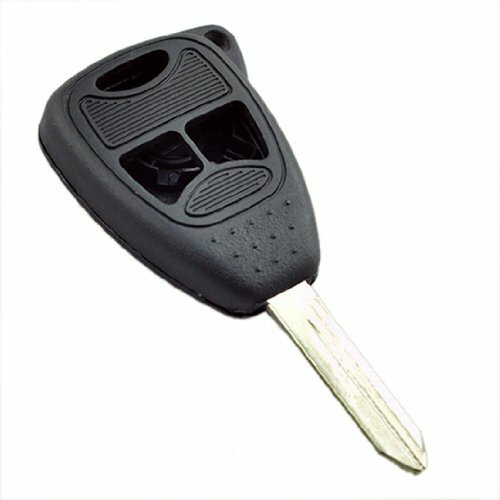 Tips: Works with the vehicles that use a remote key excatly like the one pictured above. 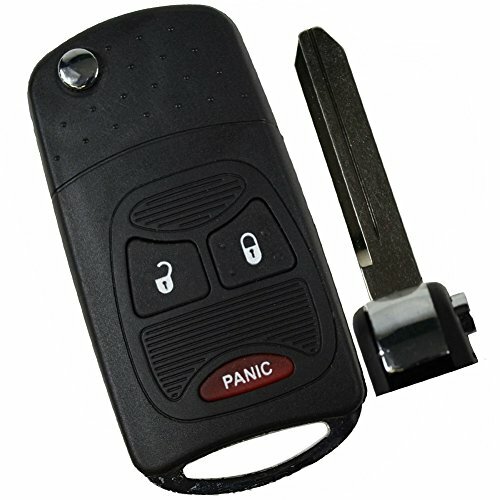 Be sure you have SAME buttons on your current key. 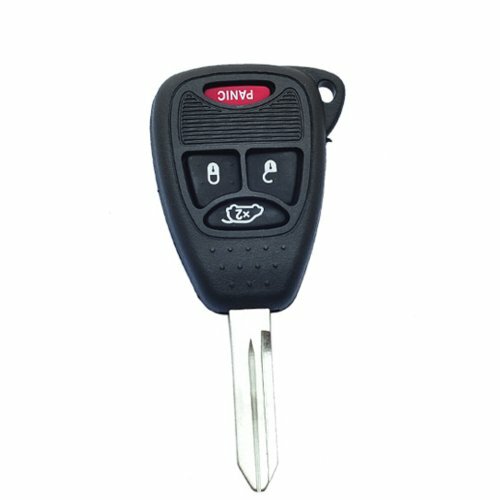 Package Included: 1 X Remote Key Shell(NO Chips NO Interior) Compatibility: 2007-2009 Chrysler Aspen 2006-2010 Chrysler PT Cruiser 2004-2007 Chrysler Town & Country 2007-2012 Dodge Caliber 2004-2007 Dodge Caravan 2007-2010 Dodge Dakota 2004-2009 Dodge Durango 2004-2007 Dodge Grand Caravan 2007-2011 Dodge Nitro 2004-2010 Dodge Ram 1500 2004-2006,2008-2010 Dodge Ram 2500 2004-2010 Dodge Ram 3500 2008-2013 Jeep Compass 2009-2010,2012-2013 Jeep Patriot 2007-2013 Jeep Wrangler NOTES: Make sure your current key looks IDENTICAL with the gallery pictures shown. ONLY SHELL PART, NO interior (remote/electronics/transponder chips) unit inside. The keyblade needs to be cut at your local dealer or qualified locksmith. 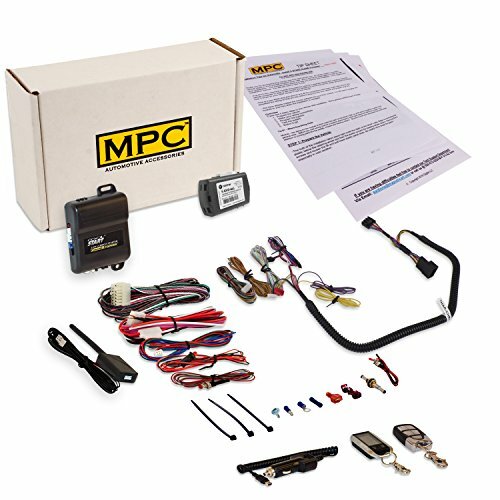 Please be sure you have a factory keyless entry system. It was not standard on all vehicles. If your current remote looks the same then this will work. If you are not sure then please check with your local dealer. Condition: 100% Brand New Important Notice: Color: Black Key Blade: Yes(Blank/Uncut) Button: 4 Buttons - Lock, Unlock, Trunk & Panic Perfect replacement for FCC ID: OHT692427AA Transponder Chip: NO Electronics/Battery: NO Package Included: 1 X Uncut Flip Remote Key Shell(NO CHIPS) Package Include: 1 X Key Remote Fob Case Type Folding/Flip Key Case Key Blank Yes Button 3 Buttons + panic Transponder Chip No Electronics/Battery No Weight 60g Work With Vehicle Refit 4 buttons remote key case (the same as the picture) Work with: 2012 Jeep Liberty 2011 Dodge Avenger 2011 Dodge Nitro 2011 Jeep Liberty 2010 Chrysler PT Cruiser 2010 Chrysler Sebring 2010 Dodge Avenger 2010 Dodge Nitro 2010 Jeep Liberty 2009 Chrysler PT Cruiser 2009 Chrysler Sebring 2009 Dodge Avenger 2009 Dodge Nitro 2009 Jeep Liberty 2008 Chrysler PT Cruiser 2008 Chrysler Sebring 2008 Dodge Avenger 2008 Dodge Nitro 2008 Jeep Liberty 2007 Chrysler PT Cruiser 2007 Chrysler Sebring 2007 Dodge Nitro 2007 Jeep Liberty 2006 Chrysler PT Cruiser 2006 Jeep Liberty 2005 Jeep LibertyFeatures: Make sure your current key looks IDENTICAL with the gallery pictures shown. ONLY SHELL PART, NO interior (remote/electronics/transponder chips) unit inside. The keyblade needs to be cut at your local dealer or qualified locksmith. Please be sure you have a factory keyless entry system. It was not standard on all vehicles. 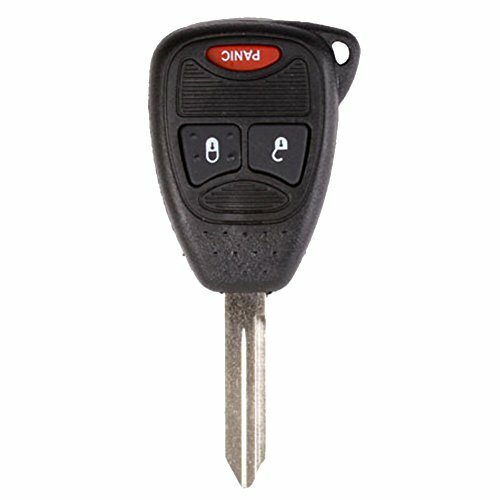 If your current remote looks the same then this will work. If you are not sure then please check with your local dealer.